We conduct State Certified testing for VA and USDA as well as bacterial testing only. 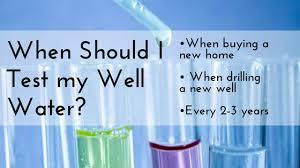 Don't wait until someone becomes ill before testing your water source or the water source of your new home. Contact us today to schedule. Click HG logo below to see our Homegauge verified reviews!